From this point forward, I'll post Momo ken episodes in this thread. movgrab support for youtube is broken since yesterday, so I can't make downloadable backup currently. I hope they'll fix movgrab soon. How can they make ventriloquism look so easy? ^Here is a youku link of that same episode. amazing ty for posting that. I cringed when they started dropping the needle and dragging it across the record. If they did that to my records I'd kick them out of the house. 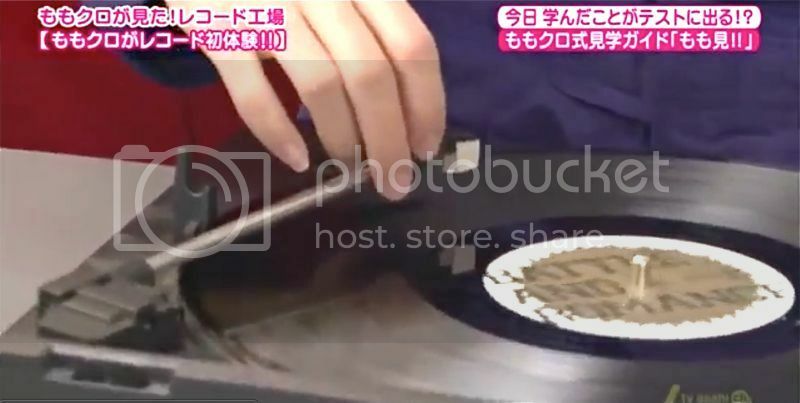 Momoclo have never seen a vinyl record before? Well, mine are in a box that I don't think I've seen since they were born. I cringed when they started dropping the needle and dragging it across the record. If they did that to my records I'd kick them out of the house. My reaction when they did that to the record was " NO, NO! That's not the way to treat a vinyl record!" Especially when Momoka dragged the needle across the record. My father will smack me around if I done that to his vinyl record.